Study after study shows that contraception benefits absolutely everyone, duh. A new Guttmacher infographic is more specific: correct and consistent contraceptive use benefits absolutely everyone. 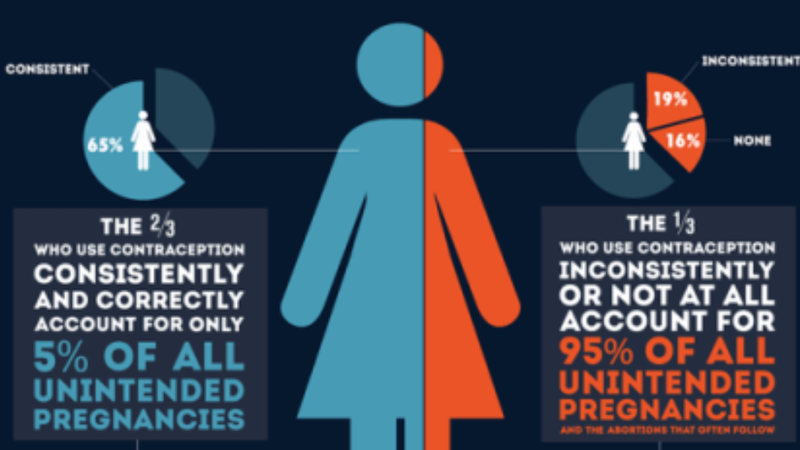 The two-thirds of U.S. women at risk of unintended pregnancy who use contraception consistently and correctly throughout the course of any given year account for only 5% of all unintended pregnancies. The 19% of women at risk who use contraception inconsistently account for 43% of unintended pregnancies, while the 16% of women at risk who use no contraceptive method at all for a month or more during the year account for 52%.